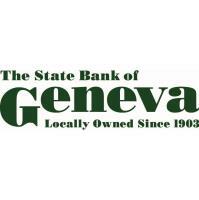 GENEVA, Ill. - Feb. 6, 2019 - PRLog -- Founded in 1903, The State Bank of Geneva (SBG) received recognition for its 115 years of service, on November 15, 2018, from State Representative Steven A. Andersson of Illinois’ 65th Legislative District. Christopher P. Barton, President, CEO and Director of SBG was presented with the House Resolution certificate as a formal acknowledgement of achievement for successfully fulfilling the needs of their clients as the longest continuous community bank in the Fox Valley area. As the certificate states, SBG has been committed to the community banking mission of building deep and lasting roots. “We know it is important to support local events and activities in the area by creating partnerships with the high schools, local churches and charity events. It is our way of giving back,” says Barton. Not only does SBG support the local non-profits, but they also understand the importance of being that secure, financial support for the small business owners. Barton added, “To know we were trusted by Roxanne and Chuck Osborne, as they made their dream of Harvey’s Tales bookstore a reality, makes us so proud! The relationship we have built with them shows a level of respect for the way we conduct business here in Geneva.” Helping clients thrive and achieve their goals is top of mind for SBG. from our location in downtown Geneva, IL. In addition to being local, the bank extends its service area with a network of over 43,000 surcharge free ATMs nationwide. Visit sbgeneva.com for product offerings.